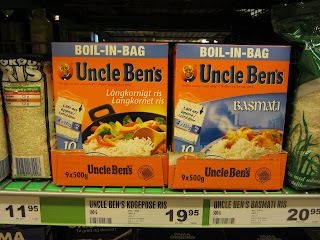 Buy one uncle bens Country Inn Rice Product and get one free. Save $1.00 on any two uncle bens Flavored Grains Rice Products. Print coupon for a $1 discount when you buy any four Uncle Ben's Brand Rice products. See coupon for more details. Sign up and print a $1 coupon for uncle bens rice products instantly plus get free recipes and special offers straight to your inbox..
Buy 4 Uncle Ben's rice products and save $1.